Considering Miller's heavy workload and Deshaun Watson's impending return, the Texans' lead back is being overlooked in 2018 drafts. With star wide receiver DeAndre Hopkins likely to be the second wideout off the board, and quarterback Deshaun Watson being among the first set of passers taken, running back Lamar Miller's role in the Houston Texans' offense is going overlooked. Miller currently has an average draft position of 56th overall and a standard deviation of 5.6 -- ranking him as RB26 in PPR formats, per FantasyFootballCalculator.com. While he is not much of an explosive back, in the mid-to-late rounds Miller is a reliable option at the running back position, and due to his volume and Watson's impact on the offense, it's clear that he's going undervalued in June drafts. During the 16 games Miller played last season, he was on the field for a total of 68.7% of the Texansâ€™ offensive snaps, making him sixth overall among all running backs. One red flag for Miller was his depreciating snap count at the end of the season. 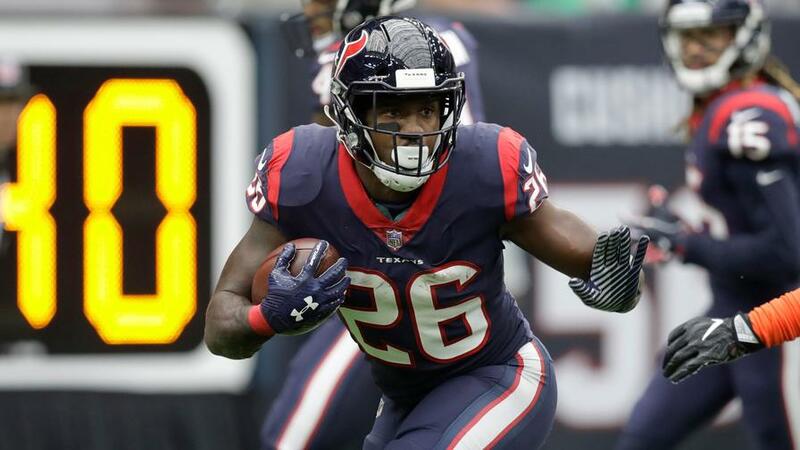 Following their Week 7 bye, the Texans went 1-6 and turned to Alfred Blue in Week 15 to find a spark in the backfield, after Miller averaged 9.06 fantasy points from Week 12-14. For the last three games of the season, Millerâ€™s snap count dropped significantly, going from 49.1% to 34.5% and, finally, 30.9% after averaging 74.1% of the snaps the previous 13 games. Despite his dwindling snap count near the end of the season, head coach Bill Oâ€™Brien has shown repeated confidence in his starting back. Miller has had 268 carries in the 2016 season and 238 in 2017, ranking him as RB6 and RB12, respectively, in total carries. For the 27th running back off the board, that is a high share of volume. With the 757 total offensive snaps Miller was on the field, he finished the season with 888 rushing yards, 327 receiving and 6 total touchdowns. One facet that worked against Miller last season was the number of stacked boxes from opposing defenses. 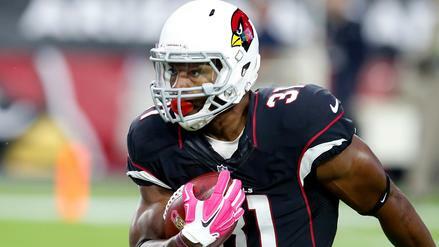 He faced eight men in the box 47.9% of the time throughout the season, fourth-most among running backs last season. The average Net Expected Points per carry for running backs with 150+ touches was -0.03, and Miller was slightly below average with -0.07 NEP per carry. Those numbers donâ€™t exactly yell out "diamond in the rough", however, in the six games Miller started while Watson was leading the team, his numbers tell a different story. In Watsonâ€™s six starts, Miller averaged 60.1 rushing yards, 27.1 receiving yards and 0.66 touchdowns, equating to 12.73 fantasy points per game, ranking him as RB11 for the 2017 season (if taken over the entirety of it). For a running back going in the middle of the fifth round, where most backfields are cluttered by committees, Miller and his consistent snap rate offer considerable upside next to Watson. The Watson factor is integral to his potential. The dual-threat quarterback freezes defenses and opens up running lanes that donâ€™t normally exist. Last season, Coach Bill Oâ€™Brien's aggressive approach provided options for Watson to make deep passes early in games. After beating defensive backs and running up the score, defenses loosened up, they didnâ€™t burst to stop the run, hesitant that they may get beat deep once again. Not only did this open up running lanes, but it could also be one reason for Miller's success on underneath routes and others out of the backfield. Per Pro Football Focus, the veteran back had a wide receiver rating of 120.1 on his targets excluding screens, rating higher than standouts Kareem Hunt and Todd Gurley. 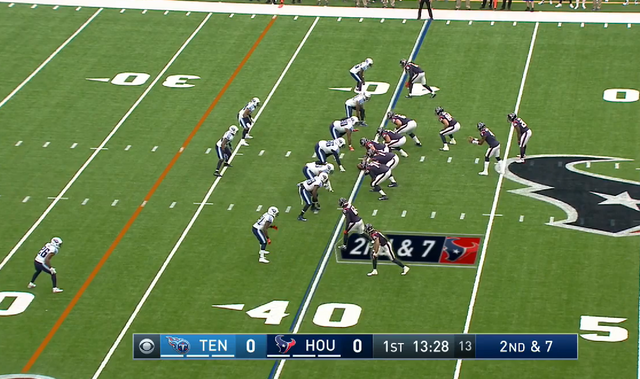 For a look into how this played out on the field, here is a snapshot from the Texansâ€™ Week 4 game against the Tennessee Titans. 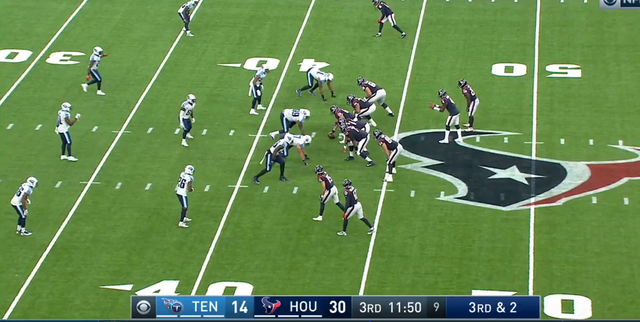 This is a familiar set from the Texans, who have two receivers bunched and Hopkins isolated on the other side, one two-point stance tight end off the line of scrimmage, Watson in shotgun with Miller to his right side. The Tennessee Titans, the NFL's fifth-heaviest man coverage team, are playing a typical Cover 1 with press coverage. On this play, Watson hit Bruce Ellington deep down the middle for 35 yards. Later in the game, you can see the defensive adjustments the Titans made. 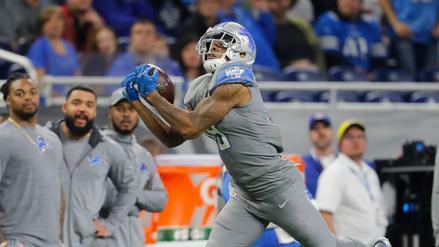 In the third quarter, after giving up 30 points in the first half, they revert more to off-man coverage for the defensive backs, spacing out the linebackers and spreading the defensive line. Itâ€™s factors like this, attacking downfield and spreading the field of play, that could allow more running lanes for Miller. In the second half of this game, the Texans' backfield accumulated 67 total yards on 14 touches. This is an example of when the game script goes the Texans way -- when theyâ€™re able to impose their game-plan on opposing defenses and exploit mismatches. Looking at the Texans schedule, there aren't a ton of intimidating defenses standing in their way, which will benefit Miller greatly, so long as Houston's approach stays the same with a recovered Watson. Miller struggled at times last season, only managing 3.7 yards per carry and 2.5 yards after contact, which put his starting role up for grabs. Blue, who signed a one-year deal for 2018, does pose a slight threat to Millerâ€™s starting role but it is Millerâ€™s spot to lose. D'Onta Foreman is said to start the season on the PUP, but after he returns, if Miller isnâ€™t delivering, he may be replaced. There is also the issue of the Texans' offensive line. Aside from center Nick Martin, four new Texans make up the offensive line, and it stands to be one of the weakest in the league. All the question marks aside, Miler looks to be a staple of the Texans' offense and is worth the value as RB26, a fifth-round selection. Miller does have Blue looking over his shoulder, but the starting role is his to lose. Our models project Miller to rack up 921 rushing yards and 4 touchdowns with 320 receiving yards and another 3 touchdowns through the air. The result would be an RB19 performance, surpassing his draft cost considerably. And in the event he one-ups the numbers, Miller could wind up being a league-winner in 2018.